Orion is a floor lamp by Koziol in retro style. 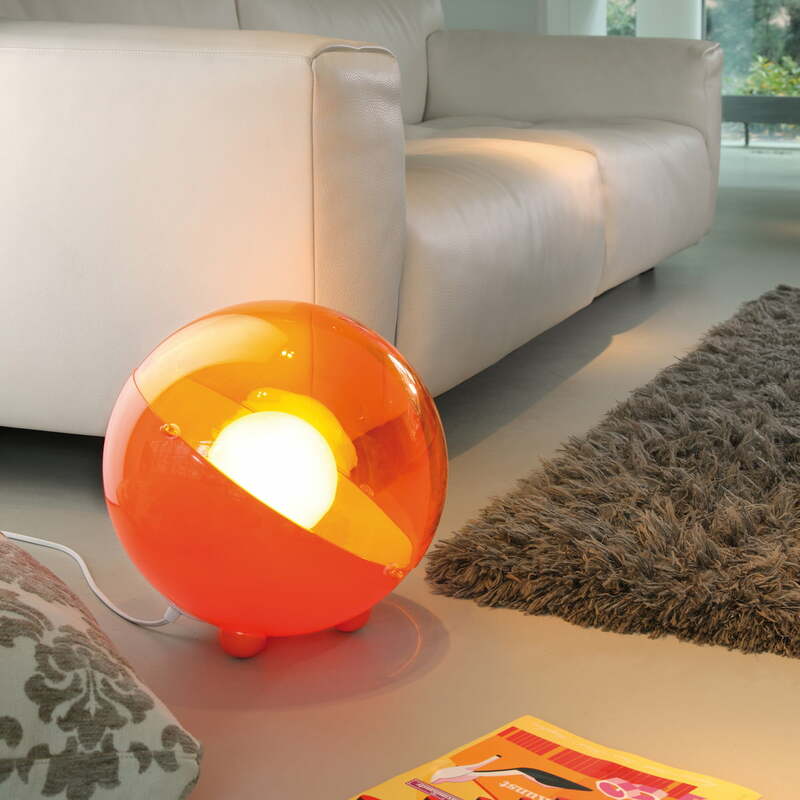 It skilfully takes up the design language of the Panton era and gives a pleasant mood light. The form is reduced to the essential, so the luminaire can be combined in many ways. 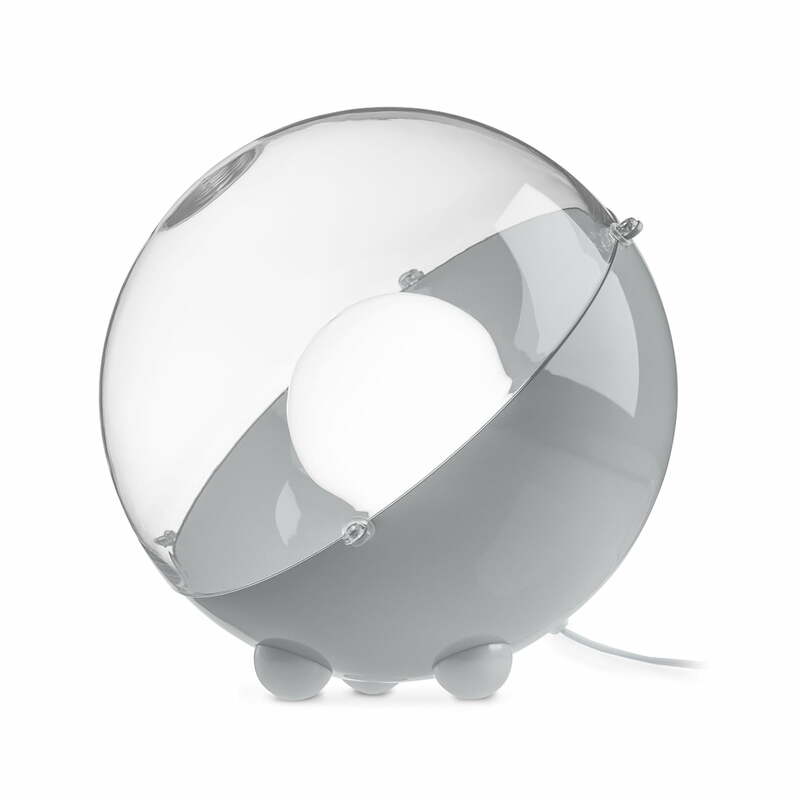 The upper half of the Orion floor lamp is kept in clear polystyrene. The room is illuminated through the light from the half sphere. The lower semi-sphere is coloured and is supported by three round feet. Depending on the colour different moods can be created. 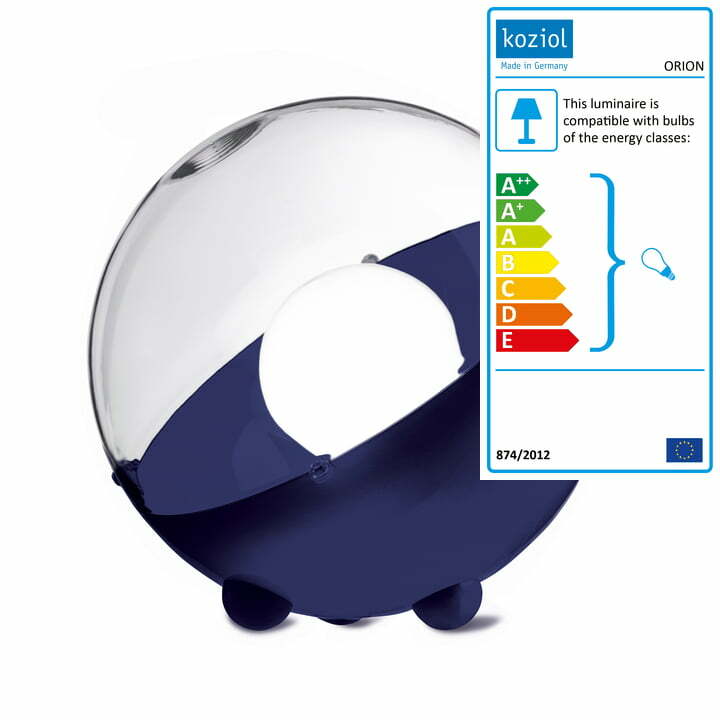 Isolated product image of the Orion Floor Lamp by Koziol in blue. The shape is reduced to the essentials and fits into every interior style and ambience. Product image of the Orion Floor Lamp by the German manufacturer Koziol in grey. 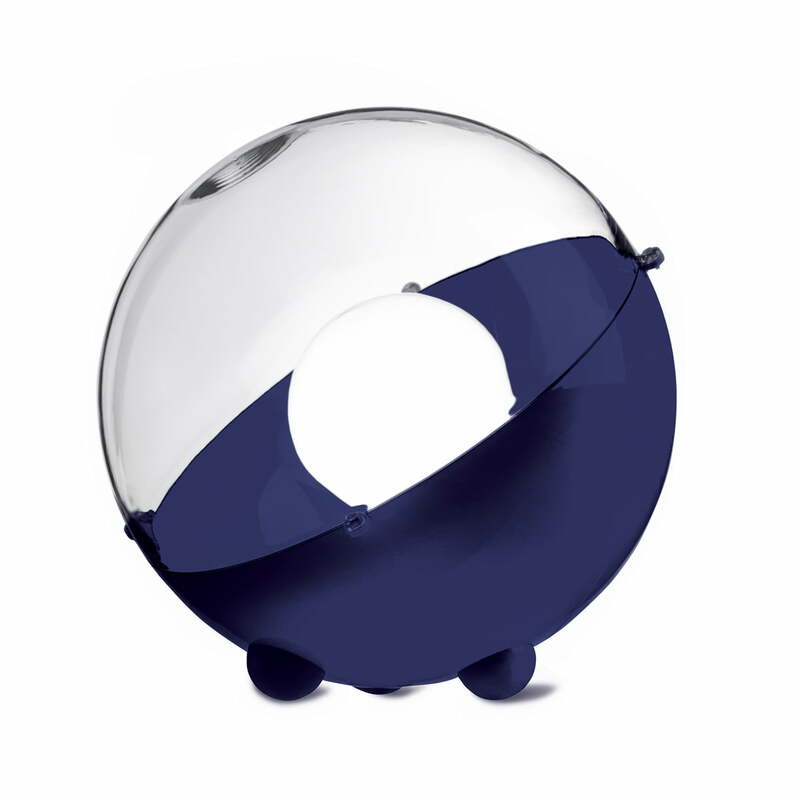 The lower semi-sphere is coloured and is supported by three round feet. The light radiates into the room through the upper semi-sphere of the Orion floor lamp by Koziol. Depending on the colour different moods can be created.